On a recent episode of the Dr. Oz show, the topic was about the dramatic increase in the use of prescription, anti-anxiety drugs. One woman on the show spoke of how she lost everything she valued by becoming addicted to these drugs. She explained how it all started with a friend offering her a tablet to handle her anxiety from juggling her marriage, two children, and her career. She went on to say that at the peak of her addiction she felt empty because she had ruined her marriage, nearly lost custody of her children, and was unemployed and unemployable. 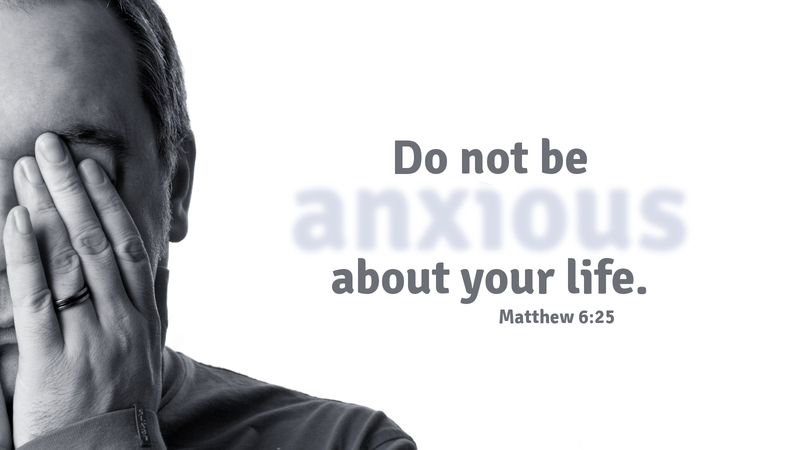 In today’s reading from Matthew, Jesus speaks that we should not be anxious about anything. Christ poses the question in Scripture. How can being anxious even add one hour to your span of life? The difference is in who you turn to in the midst of your anxieties. Do you turn to man-made pharmaceuticals or to your spiritual foundations? Jesus advises us to turn to God. Seek the things of his kingdom, rather than the things of this world. Because it is only by being in Christ that you find true peace and fill those empty places in your heart. Prayer: God of Peace, soothe the anxious fears of my heart, and pour into me the assurance of your care and provision, your grace and your peace, in Jesus’ name. Amen.